Ni-base superalloys are used in some of the most critical elevated temperature applications such as aircraft engine gas turbines and land based power systems. These components are subjected to temperatures in the range of 650oC to 750oC for sustained periods during normal operation. These temperatures are in the range where several damage mechanisms can operate during creep-fatigue loading. If a component is subjected to creep-fatigue loading, then several time-dependent processes can be operational such as creep deformation, stress relaxation, oxygen diffusion along grain boundaries, grain boundary oxidation, and surface oxidation. Thus, to accurately predict the effects of sustained loading periods on the fatigue crack growth behavior in Ni-base superalloys at elevated temperatures, accurate descriptions of the kinetics of each damage mechanism are needed. This seminar will review these various time-dependent damage mechanisms, provide a predictive model, and describe ongoing work to evaluate elevated temperature creep-fatigue behavior. Also, an overview will be provided of some characterization techniques being employed to investigate these mechanisms. Dr. Jeff Evans is currently an assistant professor at the University of Alabama in Huntsville in the Department of Mechanical and Aerospace Engineering. His previous experience includes positions with the GE Global Research Center, Kennametal, and The Engineering Institute. He earned his B.S. in Metallurgical Engineering from the University of Missouri-Rolla in 1998. He received his M.S. in Mechanical Engineering and his Ph.D. in Engineering, both from the University of Arkansas in 2004 and 2008, respectively. Dr. Evans is an active member of the High Temperature Alloys Committee of the The Minerals Metals and Materials Society (TMS) and the ASTM Committee on Fatigue and Fracture. He is also a member of ASM International and ASME. During the summer of 2010 Dr. Evans held a guest scientist position at the Federal Institute for Materials Research and Testing (BAM) in Berlin, Germany. 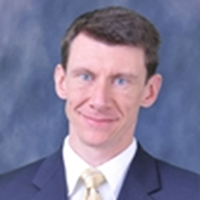 Also in 2010 he received the Keith J. Miller Young Investigator Award from the ASTM Committee on Fatigue and Fracture. Dr. Evans is also licensed as a professional engineer (P.E.) in the state of Arkansas. His experience and interest is in understanding the failure of materials through investigating the mechanisms of fatigue, fracture, and corrosion, and was recently selected to further these studies through a National Science Foundation Faculty Early Career Development (CAREER) Award.